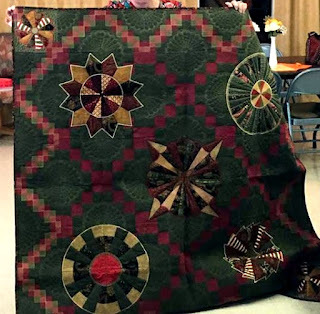 Wanda Jackson showed her "Hearts and Hands Club" signature quilt. The back of the Signature quilt. 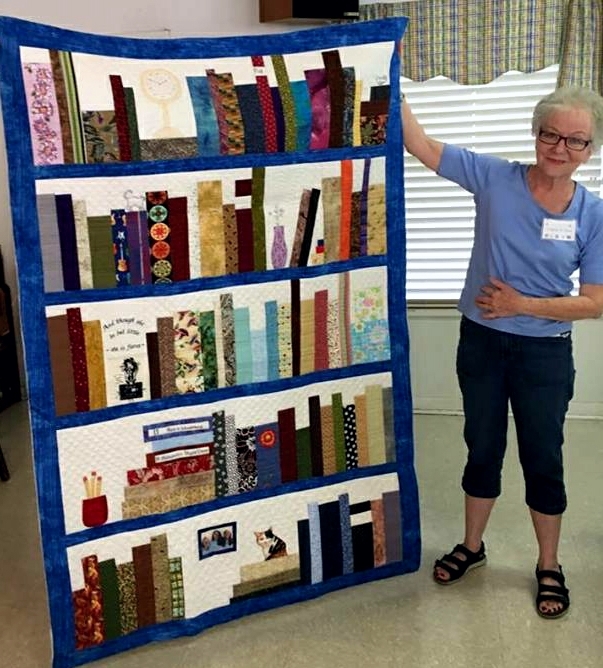 Wanda also showed this library quilt for her granddaughter. 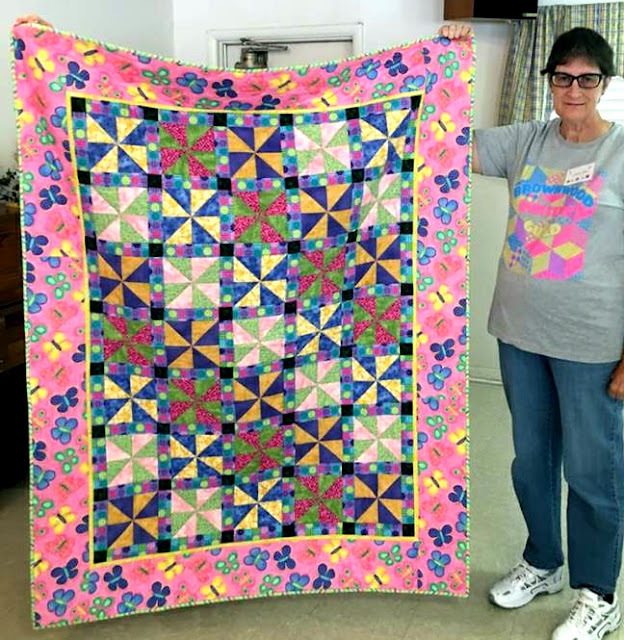 Millie Schwab brought her "Kindred Pinwheels"quilt that she mage for her sister's 70th birthday gift. 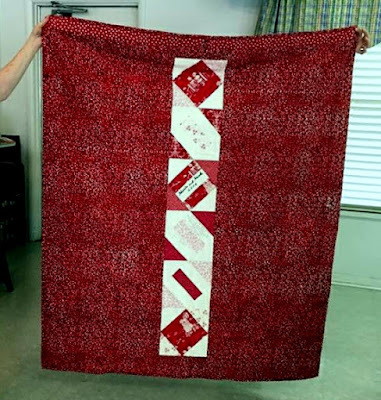 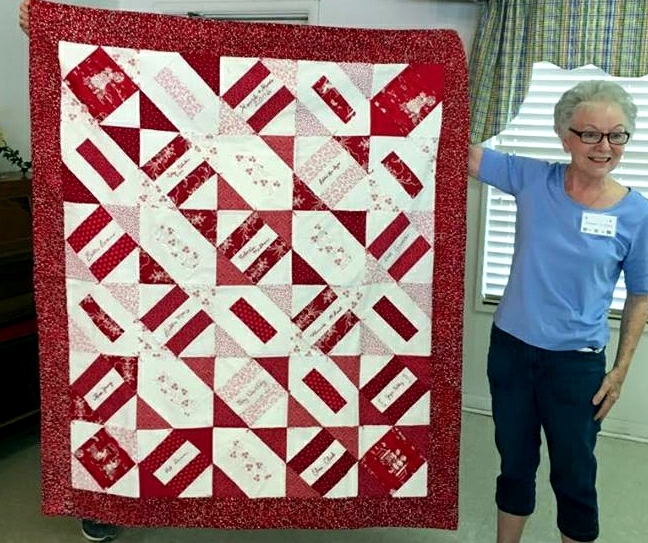 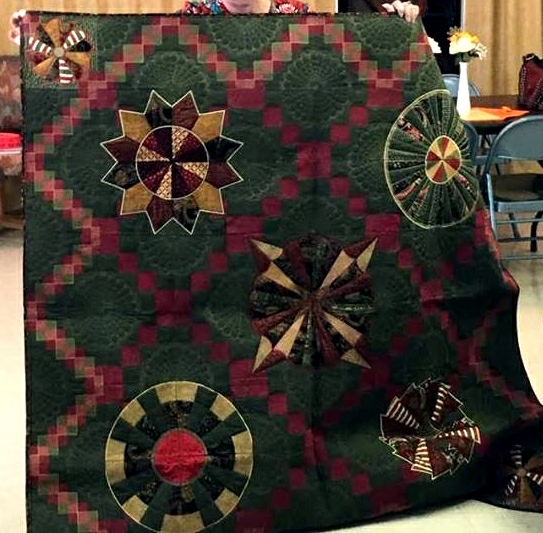 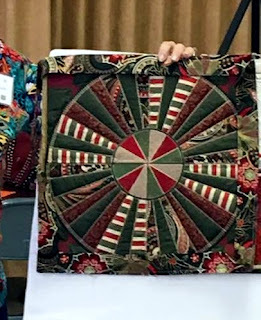 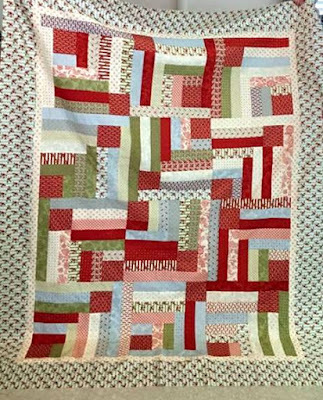 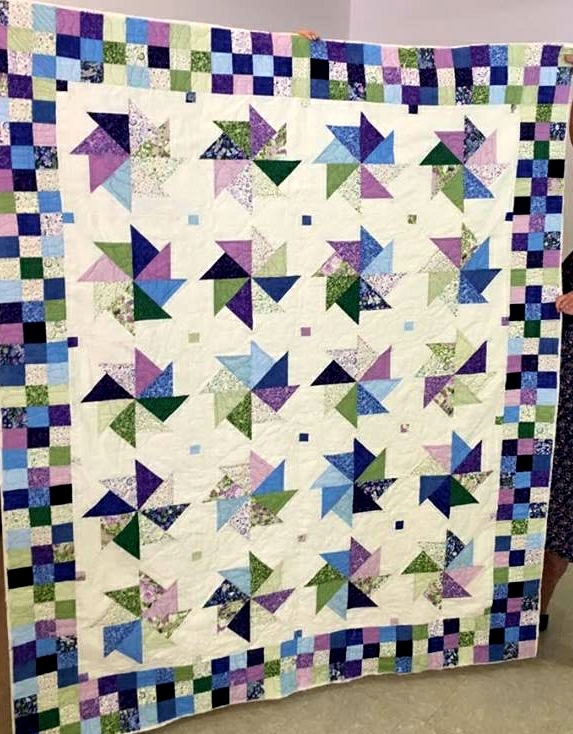 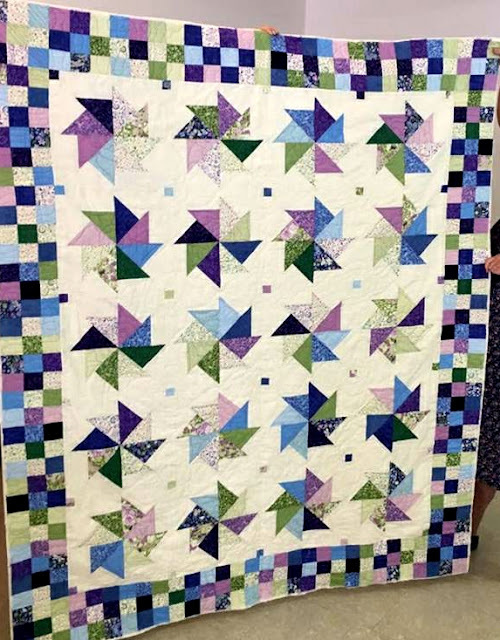 Vita Weehunt showed her "Forever Green Forest" quilt made using a fabric line called "Snowball". 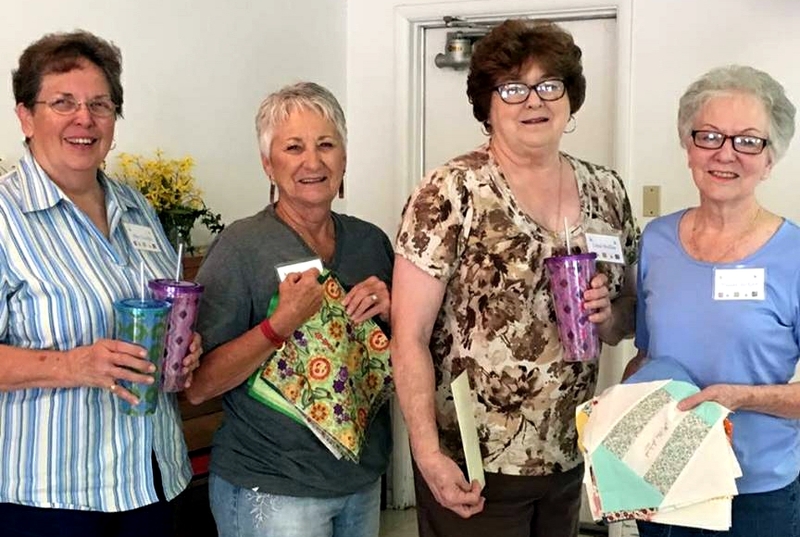 Gladys Paul brought her butterfly quilt for show and tell..
Connie Hansen presented this months program, she talked about how she makes her award winning embroidered quilts.